Categories: Irons and Ironing Systems. 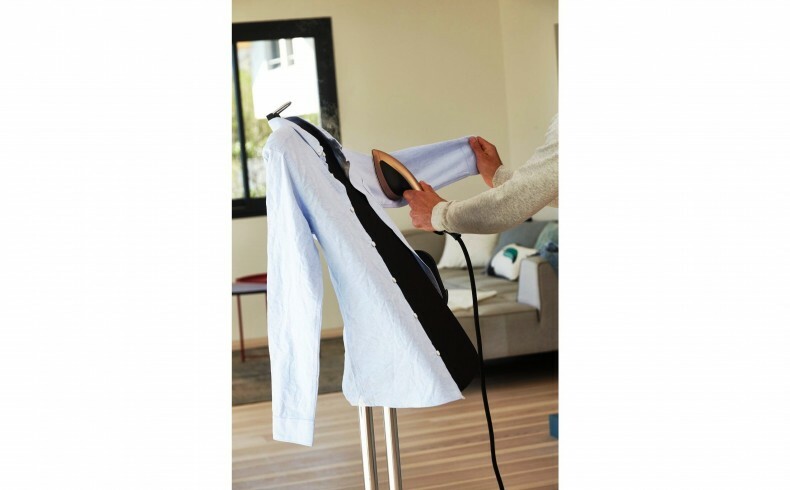 Tefal’s most recent innovation is the IXEO All-In-One Solution, a clever appliance that offers the ultimate all-in-one ironing and steaming solution for professional and versatile garment care. 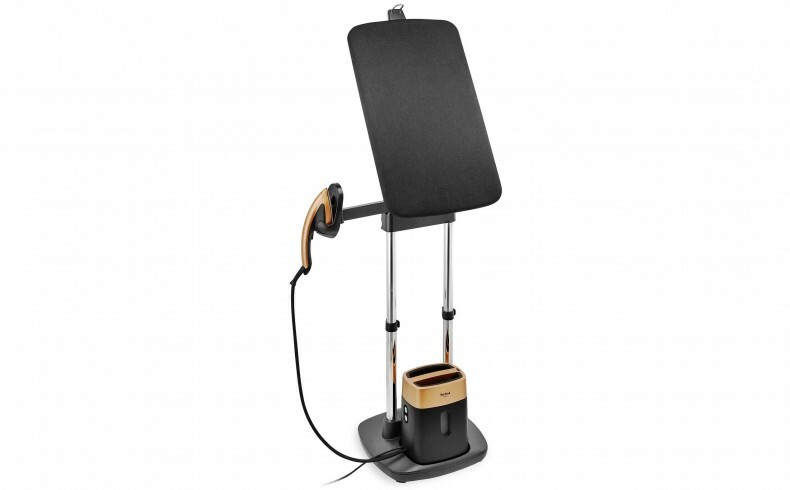 IXEO brings together the benefits of both an iron and a steamer, complete with an innovative built-in Smart Board that can function in multiple positions for versatility. Used in the vertical position it allows for the movement and use of the garment steamer, with the added benefit of a precise ironing result. 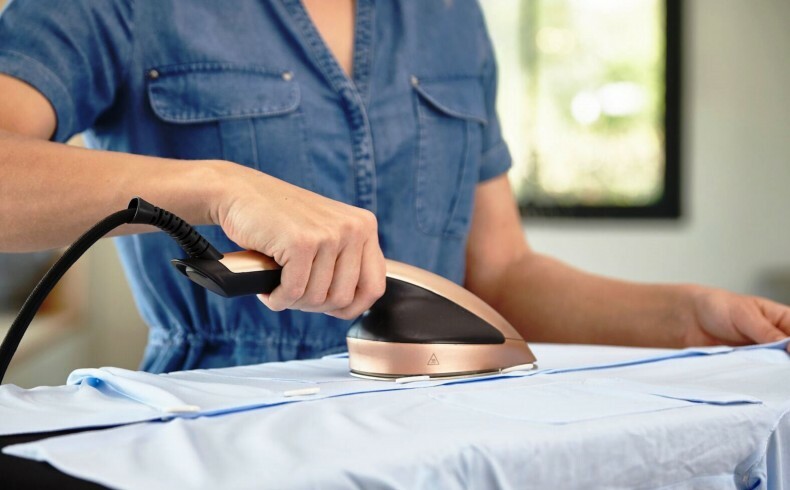 The 30° angle position is designed for both ironing and steaming, while providing excellent ergonomic positioning and a clear vision of the garment you’re working on. The horizontal position emulates a traditional ironing board. The dual vertical supports are height-adjustable to optimise comfort and ease of use. 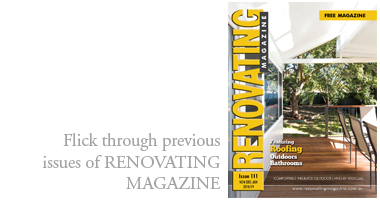 It is a lightweight and retractable compact solution that takes up minimal space, with wheels for transportation. The intelligent steam head of IXEO features Smart Protect Technology, which provides the ideal combination of steam and soleplate temperature. This makes it safe to use on all fabrics including silk; while the handheld steam-head is 50% lighter than a traditional steam iron. 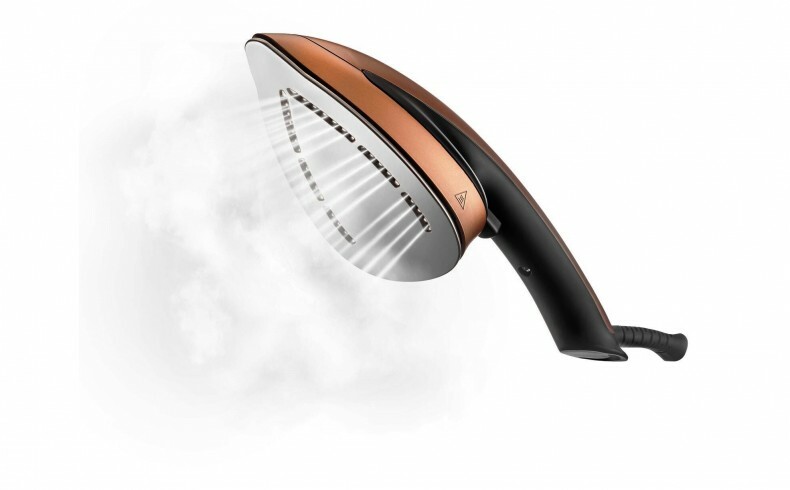 The steam-head provides penetrating steam and, with the addition of the heated soleplate, IXEO achieves professional results. Moreover, the main unit and steam-head detaches from the Smart Board so that you can steam and sanitize all around the house with minimal effort. The 1-litre removable water tank ensures long steaming sessions and easy refills; while select models include handy accessories like the fabric brush designed for thick fabrics, and clips to fasten your garments to the vertical board. The Tefal IXEO All-in-One Solution is priced at $499.95 and is available from March 2019.